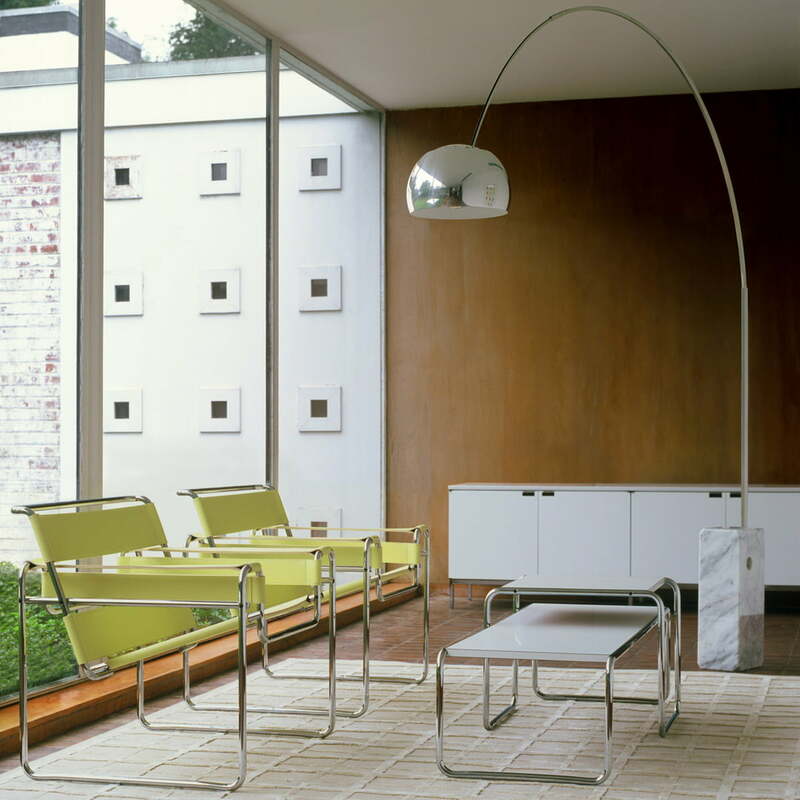 The design of the Laccio coffee table was developed back in 1925 by Marcel Breuer. The table with the characteristic U-shaped frame is also known as Bauhaus table and presents a modern and simultaneously timeless design. Initially the Laccio coffee table was used as stool, until it was finally used as a table. The table frame consists of steel pipes – a material with which Breuer experimented for years before he used it for the Laccio coffee table among others. The designer Breuer was fascinated by the idea of forming shapes out of the endless steel pipes and then designed a series of different pieces of steel pipe furniture. Breuer wanted to “create devices of today’s life” with his designs and especially focused on making his products demountable and hygienic. The Laccio coffee table fulfils these demands and has moreover been a high quality design classic for many years. The tabletop of the Laccio coffee table is made out of plastic laminate and available in white, red or black. The frame made of round steel pipes is formed seamlessly and chromed to a high gloss. 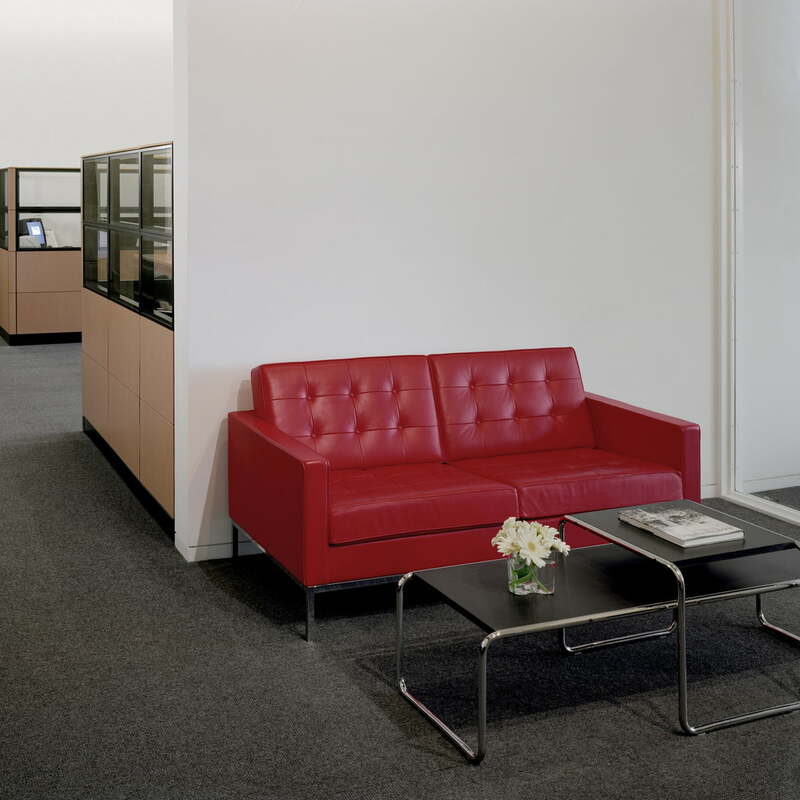 The square Laccio model is moreover combinable with a larger, rectangular version of the Laccio coffee table. 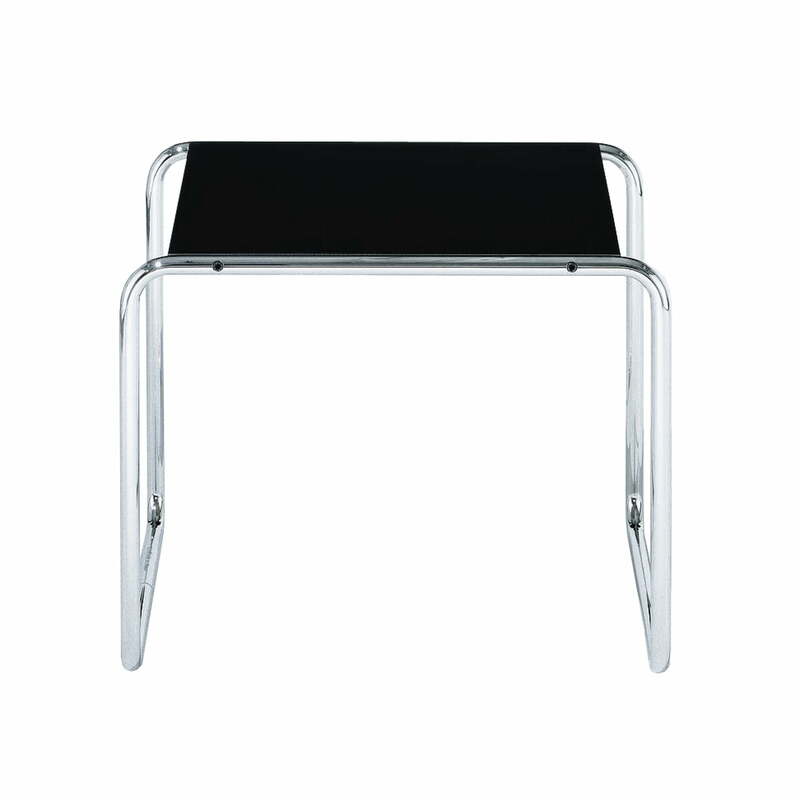 characteristics: As a student of Bauhaus, Marcel Breuer in 1925 designed the low table as an accompaniment of the Wassily Chair, the first tubular steel design on the basis of the steel frame of a bike. 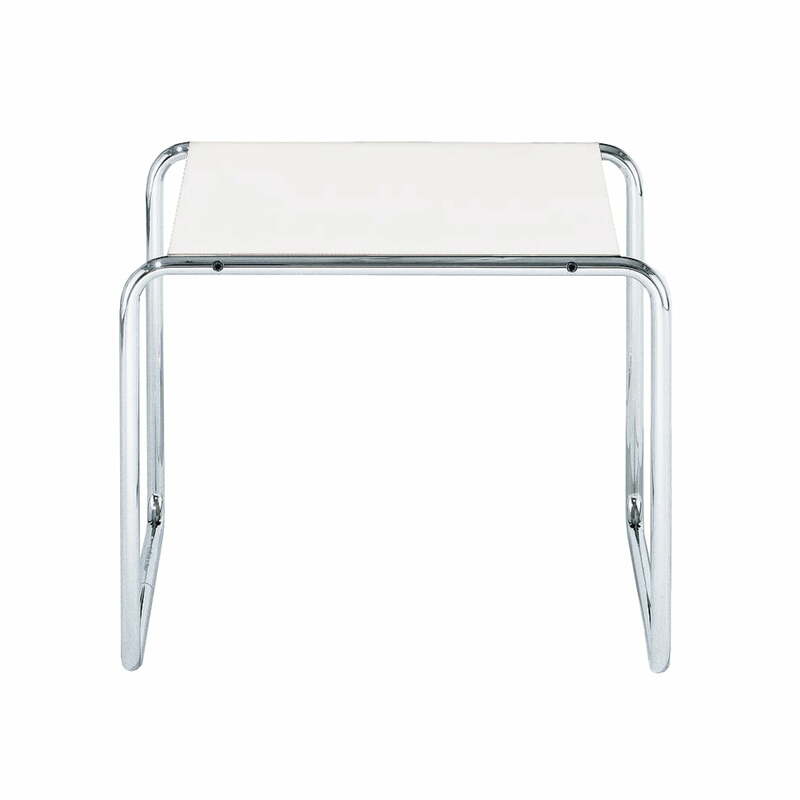 The KnollStudio logo and the signature of Marcel Breuer are impressed in the table frame. construction: tabletop out of plastic laminate in black, white or red, seamlessly formed round-rod-steel, high gloss chromed. surfaces: frame with polished chrome plating. 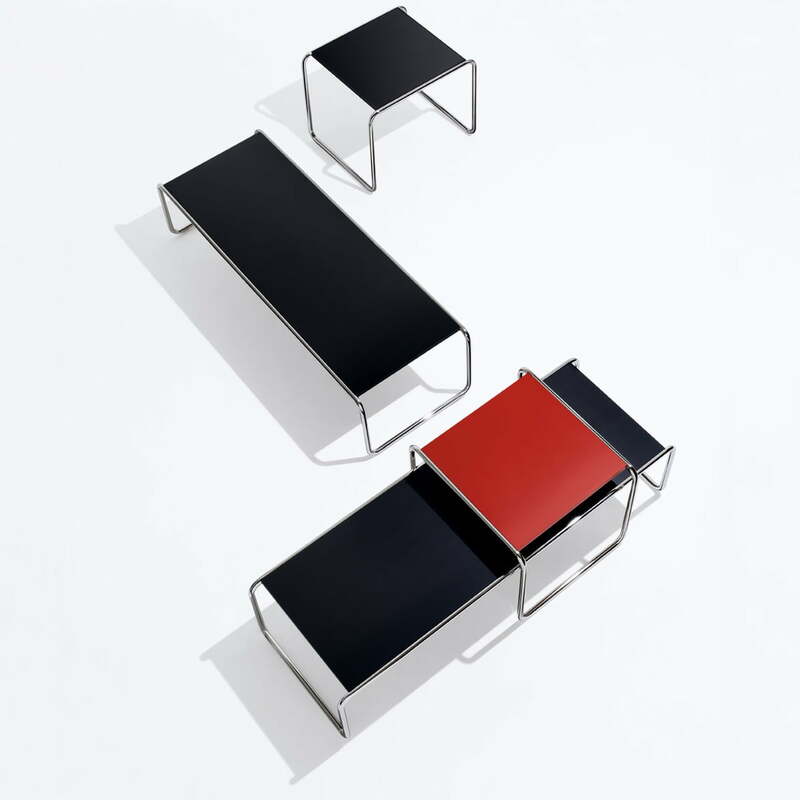 tabletop in three colours: white, black or red.